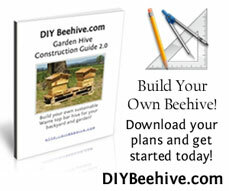 In this section of the Warre Hive Construction Guide we will build the hive roof. It forms the covering for the whole beehive. 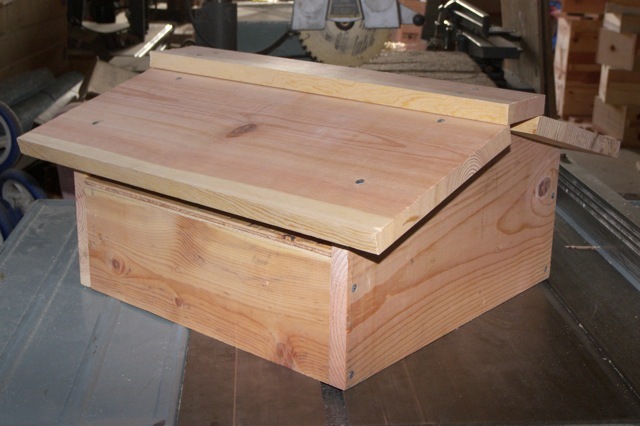 The Warre hive roof is fairly easy to build with regular woodworking tools. Let’s begin! 1 coverboard measuring 39cm long by 35cm wide by 1cm thick (15 3/8″ long by 13 3/4″ wide by 3/8″ thick) This cover board can be made from 3/8″ or 1/2″ thick outdoor grade plywood. 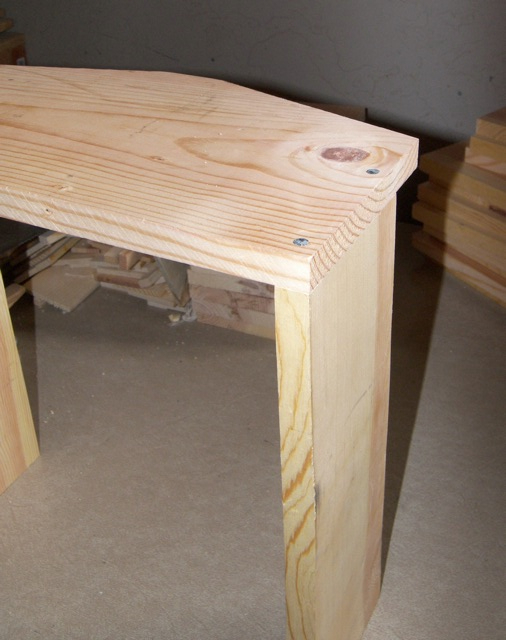 Take one of the end gables measuring 39cm long by 21cm wide (15 3/8″ long by 8 1/4″ wide) and lay it on your work surface. Decide which long side of the board you want to be the top. 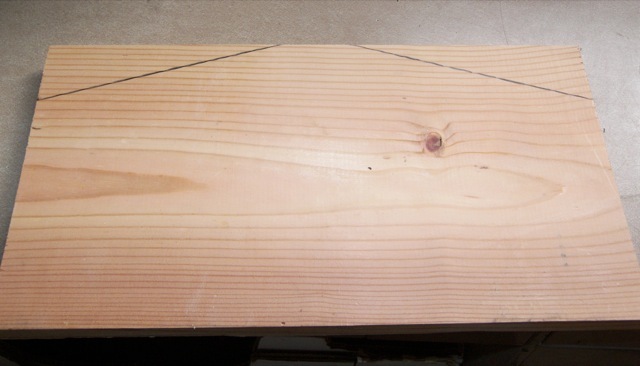 Now place a mark on each side of the board 16cm (6 5/16″) up from the bottom. If you have a combination square or speed square, set it for 72 degrees. Place the square at the mark and draw a line towards the top of the board. If you do not have a square, simply find the middle of the board and put a mark there. It should be around 19.5cm (7 11/16″) from either side. Now place two marks 2cm (13/16″) on each side of this middle mark. Draw some lines from these marks to the marks you put on the side of the board. Cut along these lines to create the gables. 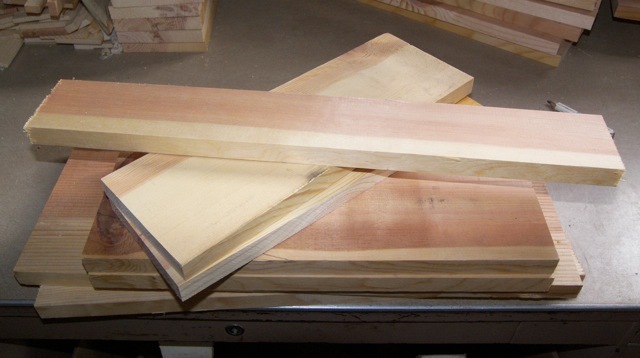 Complete this same process for the other long side measuring 39cm long by 21cm wide (15 3/8″ long by 8 1/4″ wide). Take both of the short roof sides measuring 35cm long by 12cm wide (13 3/4″ long by 4 3/4″ wide) and stand them up on your work surface. Lay one of the end gables you just cut on top of the short sides. Align the bottoms together so that the gables extend beyond the tops of the short sides. Fasten the three sides together. Almost done! Go on to the next page where we will finish building the hive roof. This entry was posted in Warre Hive Construction Guide and tagged beehive plans, build your own beehive, diy beehive, HowTo, Sustainable Beekeeping, Top Bar Hive. Bookmark the permalink. Thanks a lot for everything you do!!! I have a question: why do we have to put the cover board (the one in contact with the quilt) ? It stops the flow of air and so the quilt can’t really work. What about if I don’t put it? Matteo – The quilt is there to provide insulation for the hive. It also helps the bees retain their Nest Scent and Heat. The cover-board is thin enough to allow condensation and moisture to escape from the hive via the quilt, but thick enough to retain scent and heat when combined with the quilt. Just to clarify, are we driving a nail through the ridge into the gable and leaving a ventilation gap. Can moisture transfer down the nail and rot the wood? Wayne – Yes, you can drive the nail into the gable, or you can drive it into the roof panels. A little water may transfer down to the wood, but if you use a paint or oil for your beehive, I don’t think it will be a huge problem. Our coverboard is not thin enough to allow ventilation from the quilt through it to the roof and out. We are new at this. Our coverboard just above the quilt is about 1/4 inch thick. Why can’t we drill very small holes in the coverboard to allow moisture to escape. It seems like there is still plenty of insulation to keep heat and scent in. Calmiki on Denman Is. B.C. Mikell – Your cover-board is actually thin enough to allow warm moisture to escape via the top of the hive. It will not allow air to pass through the quilt, but condensation can get out. I have the same setup on my hives, and the quilt is always dry and warm, even during the rainy season. Hi Nick! I have a similar question about the quilt, and ours is built according to the design. I worry that the bees are getting too hot in the hive (it has been in the low 80’s here and everyday the bees beard in the late afternoon). Has anyone ever tried to put shims in between the top two hive boxes? This will allow some heat to escape, but I suppose scent as well. I have 4 boxes on now, and have no plans on adding more. The bees have honey in the top box and have drawn comb in the other two. I added the 4th because one of the hives swarmed. Thanks for all the info, but I wanted to make sure you saw this measurement error. I doubt anyone would make that mistake, but there you go. Also, I wanted to reiterate a question someone posted on the hive box, what do you use to make the top bars 1cm thick. Hi Kevin, thanks for pointing that out. It’s been fixed! As far as the top bars go, I plane down left over scrap to get the 1cm (3/8) but I bet you could find something at the lumber yard in the moulding section that would work. Lattice board or counter-top edging comes to mind but I’ve not checked the thickness of them. I think there must be some essential part that i am missing. But you close the top with the cover-board, while at the same time saying that this is the original design. Thanks for the great instructions. Have you thought about making an instructable of this? What program did you use to generate your drawings? I’m planning to try a couple of modifications and would like to provide drawings as well. Hadn’t thought of doing an instructable, Sounds like a good winter project 😉 I used google sketch up to make the drawings. I would suspect the inside dimensions of the roof would depend on the thickness of the wood used to make the boxes. How much allowance should I have between the outsides of the boxes and the insides of the roof? I’m thinking about 1/8″ all around would be sufficient? I’m thinking about the hive being very hot in the summer, as there is no top vents on the hive. Hi Scott, the bees put a great deal of effort into maintaining the optimal nest temperature. The Warre is designed to be a more hands off style of hive, there usually are no top vents in a tree trunk either 🙂 You should read “Beekeeping for All”, the link to the most recent translation is in the sidebar. I am in the tropics where obviously it is very hot most of the time. Would the ventilation be enough or would I need more somewhere? I can place the hive under a tree to reduce heat from the sun. I’m a new beekeeper. This Warre hive will house my second colony. Step-by-step instructions like this are hard to find. As an ironworker, I find wood to be difficult and mysterious. But with your help, I built this hive today in just a few hours. You’ve done me and my new girlies a great favor. Hi Bud, glad to hear your build went well! Nailing the top bars in is a no-no. By law in many states a bee hive must be able to be taken apart in such a way as to make inspection of the brood and hive possible…for pests and disease. If you nail them then pry the bar up over the nail it will create a hole in the bar and leave a little bit of nail exposed. It acts as a guide pin for the bars to go back in the same place.